London-based producer and DJ Tony S has a broad musical pedigree. 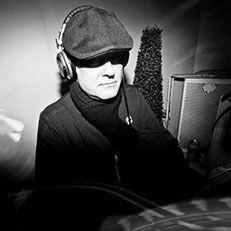 A former jazz student and session bass player of various styles, he began to DJ at underground parties and club nights around the capital prior to his debut release on Look Ahead Records in June 2011. Originals and remixes have followed on a host of quality house labels in a signature style of deep, bumping grooves balanced with soulful harmonies and vocals, epitomised in his contributions to the UM Records catalogue.